Our research reveals the principles and processes that determine the nature, amount, distribution, and functional significance of genetic variation within and between natural populations and among related species. We draw on the tools of experimental and theoretical population genetics, molecular evolution, comparative genomics, and experimental functional analyses to study the structure and evolution of the genome, natural populations, to resolve the evolutionary forces acting on individual genes, and to functionally annotate the genome (particularly that of Drosophila). Our work includes experimental studies of sequence variation and gene structure and function, as well as the development and refinement of statistical and computational methods for detecting selection on synonymous sites, distinguishing natural selection from population demography, and for detecting molecular co-evolution. 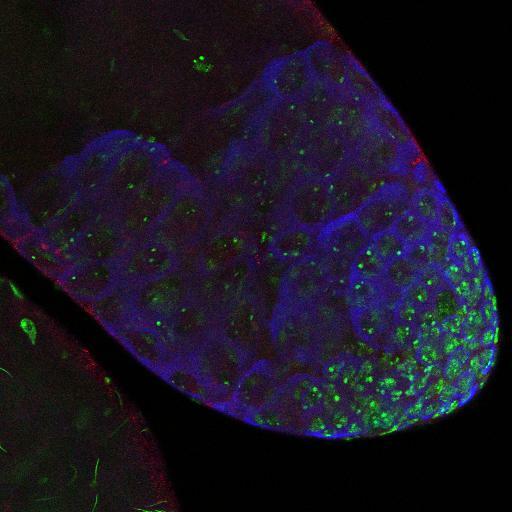 ​Current work focuses the evolutionary and functional diversification of genes that regulate germ line stem cell maintenance and differentiation in Drosophila, including their functional and evolutionary interactions with the reproductive manipulator Wolbachia. Population genetics and evolution of genes that regulate germ line stem cells in Drosophila. Evolutionary and functional analysis of bag of marbles (bam), the key regulatory “switch” gene for germ line stem cell renewal or differentiation in Drosophila. The "bag of marbles" gene name in Drosophila comes from the fact that if you delete this gene, the ovarian cysts fills up with undifferentiated germline stem cells, having the appearance of an actual bag of marbles. Use of CRISPR/Cas9 genome editing to functional test hypotheses of protein function and evolutionary drivers of strong positive natural selection we discovered acting on bag of marbles in multiple species and lineages of Drosophila. Functional and evolutionary interaction of the intracellular bacteria Wolbachia and germ line stem cell genes, particularly bag of marbles, across the genus Drosophila. Computational analyses of the evolutionary history of Wolbachia infections in Drosophila species. 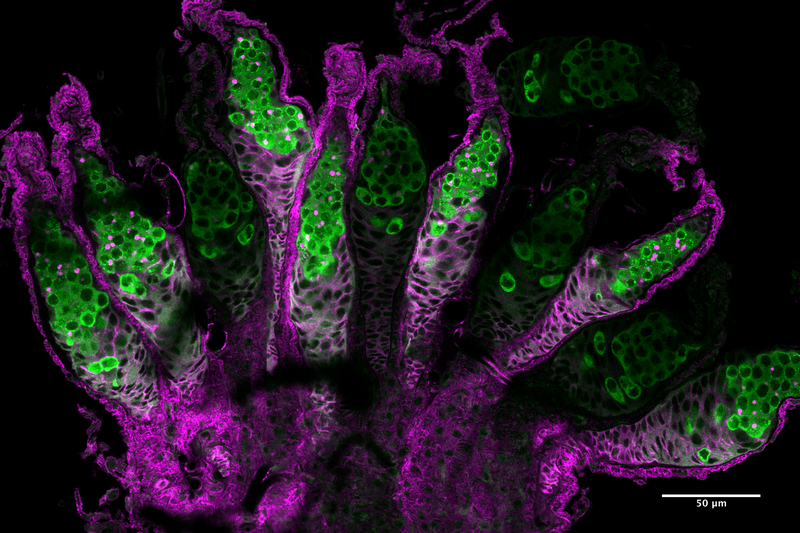 Drosophila melanogaster testis immunostained with Vasa and ptc antibodies. 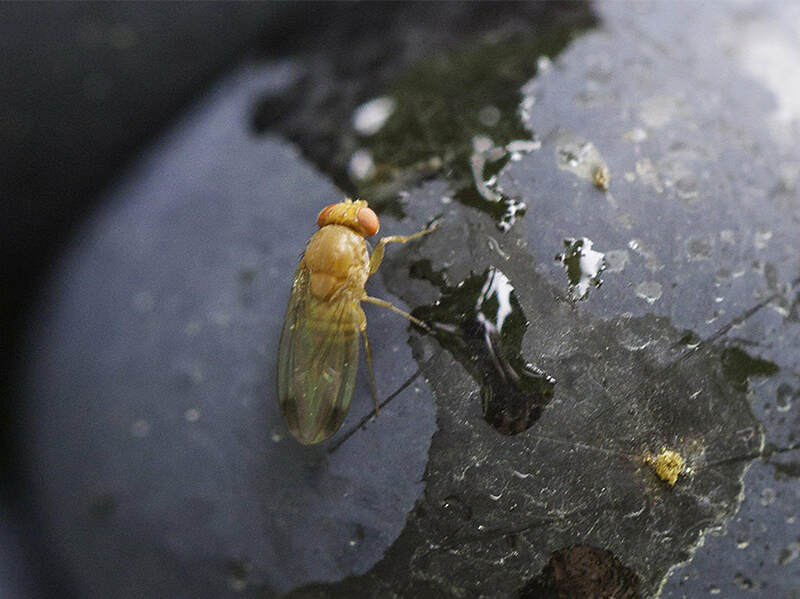 The invasive pest species Drosophila suzukii (Agroscope). Drosophila melanogaster bag-of-marbles (bam) mutant ovaries.